This page explains the application to International Association of Designers (IAD) through A' Design Award & Competitions. 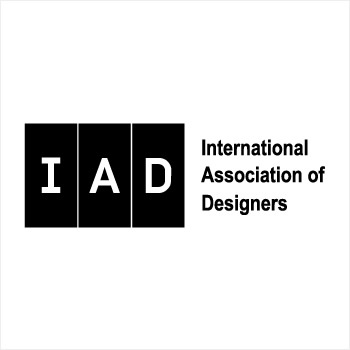 The International Association of Designers (IAD) is an organization that protects and promotes the interests of its members through networking, dialogue and partnerships. The motto of IAD is "design to advance and benefit mankind". IAD accepts all “designers, artists, architects, craftsman and creatives”. Only private entities (people) are accepted as members; businesses and institutions are not accepted. Opportunity to take part in conferences, meetings and networking events organized by the IAD. Recognition and promotion of members through IAD communications including website, newsletter, IAD member index and reports. Ability to participate in an independent international design forum provided by the IAD. Organizational structure of the IAD is divided into two branches: Executive Branch and Member Branch. Executive Branch, also called the Board of IAD is an elected branch that is responsible for accomplishing the mission of the IAD with the help of the Member Branch. Applications are open for both Executive and Member Branch of the IAD. 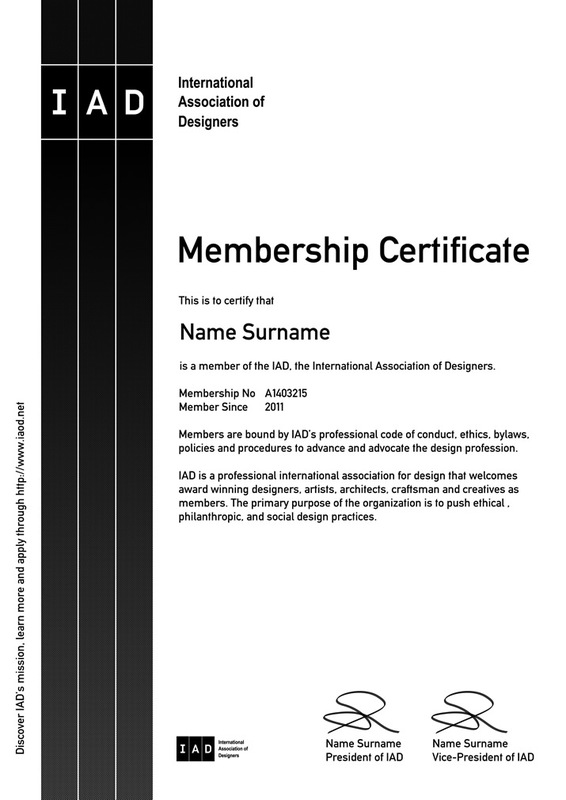 Please visit the International Association of Designers (IAD) website to learn more about membership types. Based on past A’ Design Award winner status, prospective members could apply for Executive Branch (Platinum or Golden A' Design Award winners only) or the Member Branche (For Silver, Bronze and A’ Design Award Winners). IAD Application is open and IAD Membership is free of charge for A' Design Award winners. Members who are accepted to the organization could use and integrate the IAD member logos to their communications. You can use the IAD Member mark on email signatures, online profiles, websites or printed material such as resumes or business cards to promote your membership in IAD and your professionalism. The IAD Member Icon is an International Association of Designers member benefit and should not be shared with others who are not IAD members. The purpose of the IAD membership logo is to highlight that you are part of a larger professional group representing best practices in the industry. The logo could potentially provide further authority and trust for your organization since being a member of IAD could empower your consumers, audience and clients to reach you easier through the International Association of Designers website..
Current Status: You are not logged-in. Please register or login first before applying to IAD. Please kindly note that IAD is not a nonprofit association, rather it has been perceived as an international, non-governmental, non-partisan, independent club by A' Design Award which offers benefits to its members who share the common missions and goals of the organization: design to advance and benefit mankind. 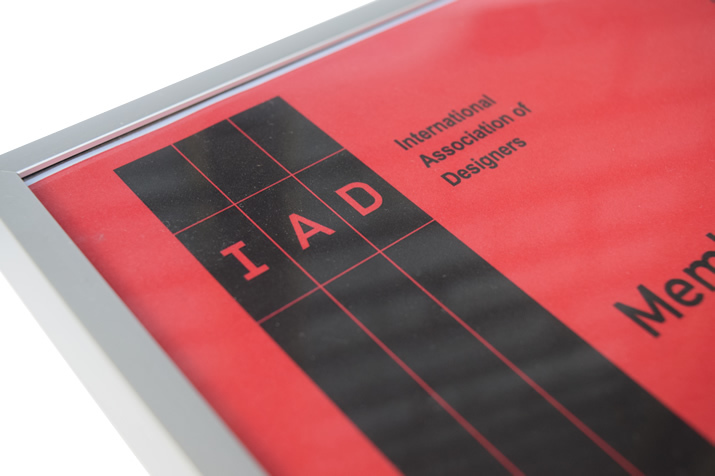 Applicants who are accepted to IAD as members, can use the International Association of Designers' Membership Certificate as displayed below. The IAD certificates are available as a download from the control panel and can be printed in A4 or A3 formats. We suggest you frame the certificates after printing. Please kindly be reminded the facsmile IAD Membership Certificate displayed below is slightly different from the original one due to security reasons. Each certificate contains the signature of the IAD President and Vice-presidents, the membership starting date and a unique member ID that could be controlled. Printed certificates together with the frames can be ordered and the shipping and frame is included. Certificates are printed on acid-free paper. IAD Members can click here to order printed certificates.